The Sounds of Strange Music saga continues with an East Saint Louis native whose music was featured all over Tech N9ne’s The Gates Mixed Plate and several tracks since. He recently signed a deal to work with St. Louis’s Fly Moves and Phat Buddha studios where Strange Music artist Stevie Stone is known to record. 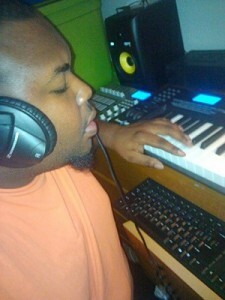 Ladies and gentlemen, Nardo Young, better known to the rap world as Demolish Beatz. Give us a brief look at your musical history. Well, my dad is a music lover and all he did was play music. When I was five years old, I asked my father if I could get a keyboard for Christmas. He didn’t understand why I wanted one, but asked, “Is that what you really want, Junior?” I told him yes. While other kids were playing with toys, I was trying to play music. I got away from it when I got older and started rapping. I was rapping for a local group called Y.N.K. Things got kind of crazy so I left and started my own thing. I got saved and decided to do gospel rap for a while. I no longer gospel rap–I just produce beats. That is my true passion. I listen to my beats and it sounds like its demolishing. It’s very unorthodox and original music with crazy synthesizer. That’s how I got my name. This dude, Corey Iceberg Dickerson, that I use to look up to as a producer gave me fruity loops. I tried it and I loved it. Then my no-longer mentor, Andrew Beat Boxerz Williams, gave me sounds and VST’s (Virtual Studio Technology) to use. What is the most important piece of equipment in the studio? Keyboard, mouse, MPD (is a flexible, powerful, server-side application for playing music), MPC (beat machine), sounds, and a program to make your music on. When you are done with a beat, what do you do next? I mix it, and master it. Listen to it over and over again, making sure it’s right. After that some of the tracks I upload some on the internet. Do you remember the first beat used by an artist? Yes I do. It was my bro, Jason Mask da Booth. He is the most lyrical dude alive, hands down. He destroyed my beat. How did you first connect with Strange Music? Jason Mask da Booth knew Tech N9ne. At the time I was doing beat collaborations with Youngfyre but wanted to do my own thing. Jason asked Travis for his contact card and I sent them like 15 beats. Two weeks later I got a call from Travis. He told me Tech wanted to buy five beats. A week later he bought three more. After that I started producing for the whole Strange Music Roster. Remind us of some of your work with Strange Music? I did six beats on The Gates Mixed Plate including: “Pow Pow”, “Far Out”, and “Loud”. I’ve got “Rejection” on Kaliko’s Shock Treatment and many more on other records. Are you working on any other projects that you are able to talk about? I’m working on a former Strange Music artist’s project, Spoiled Milk from Cognito, as well as a few more Strange Music projects that should be coming out next year. I recently got signed to one of the biggest studios in the Midwest, Phat Buddha Productions. That’s where Stevie Stone and a lot of major artists come to record. How does someone contact you for beats? It’s easy. Just go to www.dafarmacy.com. This website has beats I post for upcoming artists that can’t afford to spend a lot of money on a beat. If you really want heat and very exclusive tracks contact my manger Mike Landau mike@flymoves.com.